Is your profession listed – can you hold a part-time job with a full-time one legally in UAE? 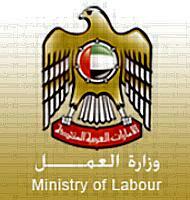 The UAE allows employees working in the country to have a full-time and a part-time job with different employers at the same time if certain conditions are met. In fact, this has been the case since 2010, when the UAE’s Labour Law introduced provisions that allow an employee to opt for a part-time job along with a full-time one. This gives the majority of the workforce a lot of flexibility. But one must be aware that this does not apply to everyone who holds a job in the country.